Pepi Lemer started performing at a very early age having been trained in voice, dance and performance. She appeared in many stage shows and musicals, and throughout a long and varied career she went on to become a backing singer, jazz performer and vocal coach. • The Beatles • Madonna • Rolling Stones • Cliff Richard • Jerry Lee lewis • Little Richard • Tina Turner • Eric Clapton • Celine Dion • Duanne Eddie with the ‘Art Of Noise’. 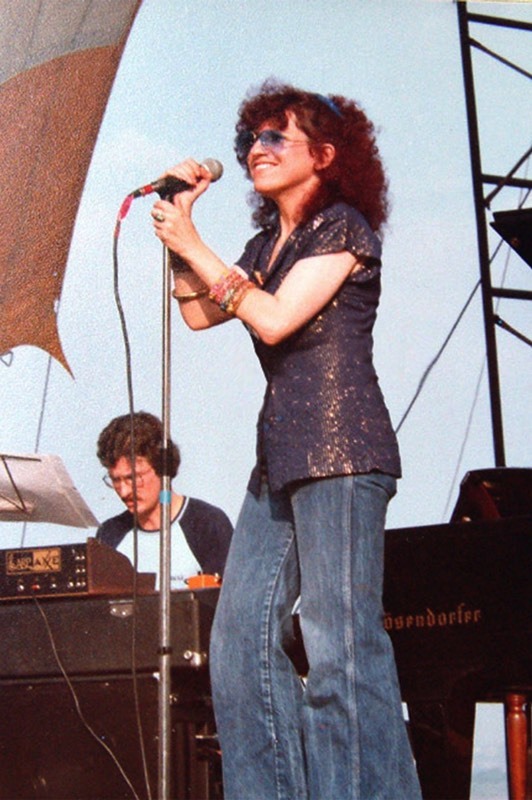 Also in the seventies she created, with the bassist Jeff Clyne, the legendary jazz fusion group ‘Turning Point’, using a vocalese style of singing. They went on to become Britain’s No.1 jazz fusion group of that time with two acclaimed albums. Barbara Thompson • Ian Carr • Gary Husband. Her teaching career has also been diverse, spanning the Spice Girls, the comedy actress Jennifer Saunders, through to the presenter Graham Norton and including many other pop and soul artists. With her dynamic teaching techniques she created a successful DVD called ‘Yes You Can Sing’. She has now completed her new album and, with her new band, embarks on a new and exciting 2015 launch at the Pheasantry 25th February. A percussive mix of latin jazz music from composers from around the world, including Pat Metheny and Chucho Valdés with lyrics written by Pepi.